What comes to mind when I say Marrakesh? Well, for starters, when I hear the name Marrakesh, my mind is immediately submerged by thoughts of Arabian nights, Mediterranean scents, spices and flavors, camels, oasis, couscous, men in gabar, beautiful mosques, beautiful women, sandy dunes, etc… So how far am I from the truth and what is the origin of the name Marrakesh? Marrakesh grew rapidly and established itself as a cultural, religious, and trading centre for the Maghreb and sub-Saharan Africa; Jemaa el-Fnaa or Djemaa el-Fnaa is one of the most famous squares in all of Africa and is the center of the city activity and trade, and has been declared UNESCO World Heritage site since 1985. After a period of decline, the city was surpassed by Fez, in the early 16th century, Marrakesh again became the capital of the kingdom and reestablished its former glory especially during the reigns of the wealthy Saadian sultans Mohammed El Mahdi, Abu Abdallah al-Qaim and Ahmad al-Mansur who embellished the city with sumptuous palaces such as the El Badi Palace (1578), and restored many ruined monuments. Under the Saadian reign, Marrakesh regained its position as a central point linking the Maghreb, the Mediterranean basin, and Sub-Saharan Africa via its caravan routes. 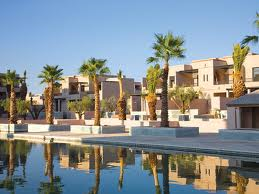 Today, Marrakesh is one of the busiest cities in Africa; it is a big tourist destination, and a major economic center. 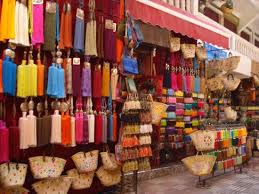 It has the largest traditional Berber market (souk) in Morocco, with over 18 souks selling anything from traditional Berber carpets to modern consumer electronics. It is also home to the Cadi Ayyad University, which is one of the major universities of Morocco. I’m interesring on what were these west African influence or element?